Nokia 5 (2018) Likely to Debut in May End or June - Playfuldroid! At the beginning of this year, HMD Global had launched a refreshed version of the Nokia 6 smartphone from last year. 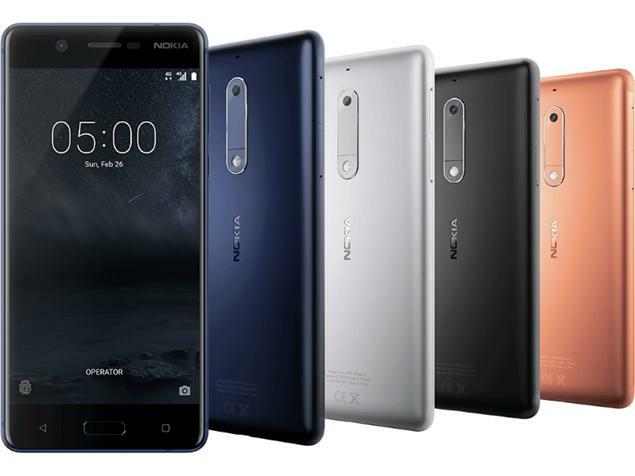 It is speculated that HMD Global will be launching refreshed editions of the Nokia 5, Nokia 3 and Nokia 2 smartphones. Juho Sarvikas, the Chief Product Officer at the Finnish firm has hinted through a tweet that the Nokia 5 is likely to debut soon. The tweet does not contain any information on the specs and release date of the Nokia 5 (2018). The Nokia 5 smartphone that was launched last year was made available for buying in June. Now that Sarvikas has hinted the Nokia 5 (2018), it seems that the company may make an announcement on it by the end of this month and may launch it in the next month. The Nokia 5 (2018) will be a lower mid-range phone that could be fueled by the Snapdragon 435 SoC and 2 GB or 3 GB of RAM. The current model has 16 GB of storage which suggests that its improved model may arrive with 32 GB of inbuilt storage. HMD Global may launch it an Android One phone which means that it could be preinstalled with Android 8.1 Oreo. As far as pricing is concerned, the Nokia 5 (2018) could be priced around 200 euros (~$240).